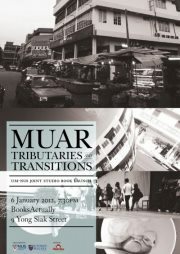 THIRTY-TWO Universiti Malaya (UM) and National University of Singapore (NUS) architecture undergraduates have immortalised Muar in a 208-page book entitled Muar: Tributaries and Transitions. The book is based on the study of old buildings in Muar. The joint UM-NUS study began in May last year. 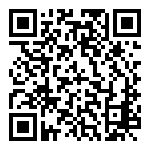 It is an initiative aimed at preserving the rich architectural culture, tradition and heritage for posterity. Assistant professor Dr Lai Chee Kien of the Department of Architecture of NUS launched the book at Kwong Siu Clan Association in Muar recently. He said the UM-NUS joint project would promote stronger ties among the undergraduates and enrich their knowledge of both countries. Lai said gradually some of the old buildings would be demolished to give way to development and this would result in a great loss. “Culturally, Muar has a rich heritage and is famed for its architecturally-significant buildings. He said the publication was a UM-NUS labour of love, recording the good and bad, the banal and extraordinary and the things that were worth preserving and fighting for. Lai said the UM-NUS team made a second visit to Muar code-named “Returning Muar” on Feb 18 after a lapse of eight months. The team wanted the locals to discover the strength and potential of Muar and to highlight issues which might have been neglected. In a two-day exhibition on the heritage of Muar — also known as Bandar Maharani — its history and people, photographs, drawings and models of shophouses and buildings were displayed. Lai said it enabled Muarians to see for themselves how much they had achieved and where they would be heading in the future. Lim Take Bane, a lecturer from the Department of Architecture in Universiti Malaya, said the panoramic view of Muar town is picturesque and spectacular. The riverfront skyline is modest with low-rise buildings hugging the flat river bank. Muar is small yet it is a complete town. It is a thriving mercantile district, an administrative centre and has leisure amenities. “Muar is at a crossroads. Its youths are leaving for the rich metropolis of Singapore, enticed by dreams of a better future. Both Lai and Lim said the success of the UM-NUS joint study was made possible by the growing and heightened interest in heritage environment and issues among the undergraduates and the continual and generous support and co-operation of the people of Muar. Why Muar is also known as Bandar Maharani? How Tangkak got its name?